Scottminimum, while I do plan on lighting it, the only blinking lights will be the set of green and red lights on the side of the view screen, the lights under the view screen, and the red alert lights on the sides of the screen, the side of the turbolift, and the red light on the helm. I have seen some of the builds where they do, and it is very impressive, I just don't have the skills or patience . https://i.imgur.com/cZoK7bNh.jpg[/img]] https://i.imgur.com/rzr03DSh.jpg[/img]] https://i.imgur.com/DgOOlo9h.jpg[/img]] Up date 0n my command bridge build, after I glued the sections together I was not satisfied with how the lower view screens fit together nor was I satisfied with the glue job I did on the control panels. So I removed the photo etch and started over. After reading several forums on how to apply photo etch (this is my first attempt) I ran across a site that recommend Gator Grip Hobby Glue. I can say I am very pleased with the results. The glue allows time to adjust the parts before it sets and is easy to clean up the excess. I decided to take a break from the actual model to work on the figures for a bit. 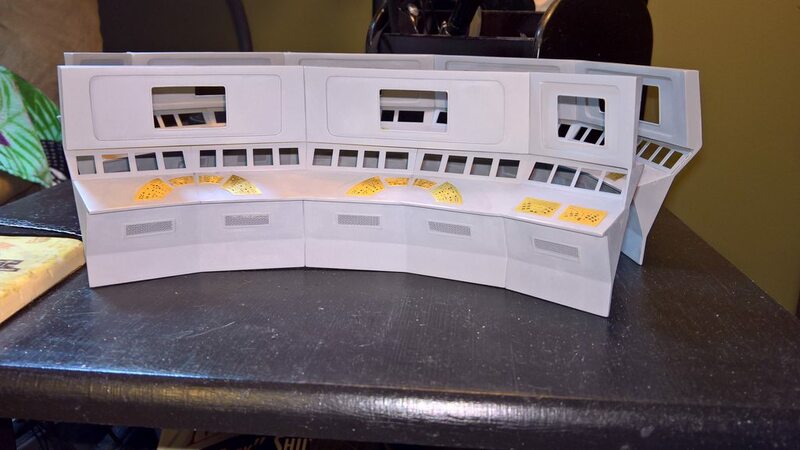 I picked up a used original ATM command bridge on ebay for cheap in case I messed up and for the extra men. It is hard to see in the picture but there is a noticeable size difference in the men from the original model and the re-released model. Are you using Transparencies for the Screens? I sell a set for those. 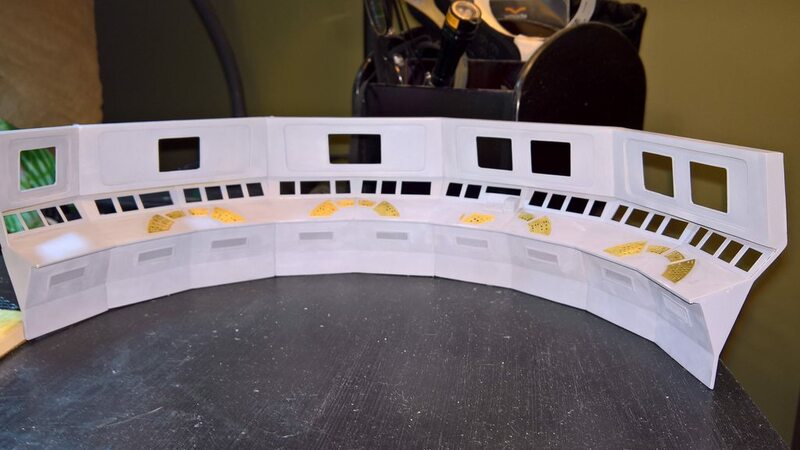 https://i.imgur.com/F9qQmOlh.jpg[/img]] Almost finished the bridge crew, still have to clean them up a bit. 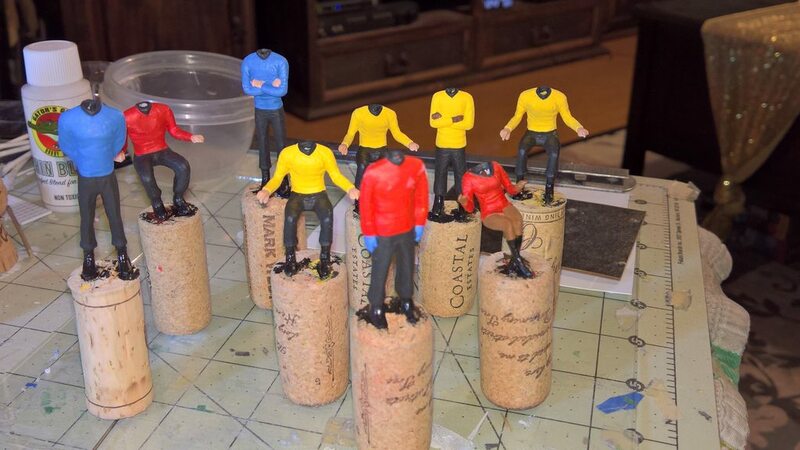 I think I am going to make decals for the Star Fleet and rank insignia, easier then painting them. Tankton, can you send me a picture of the transparencies you have to sell. Did you make them? I have two sets of transparencies that came with the photo etch but you never know. the kit decals as a guide. I swear it looks like Spock just said, "Illogical", with a completely deadpan delivery. 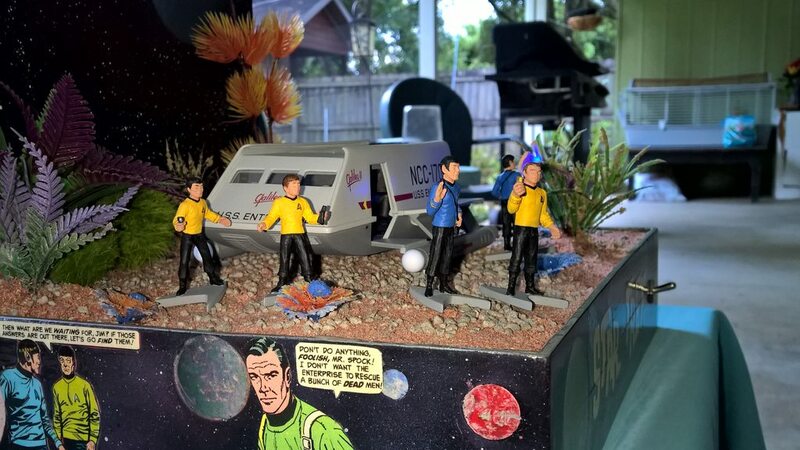 Scottminium I agree, and to me the Spock figure is the most accurate of the Bridge Crew. I am not the best at miniatures but I sure enjoyed painting them. Tankton, I appreciate it but I have the same screens and control panels from Outerspace Outfitters. 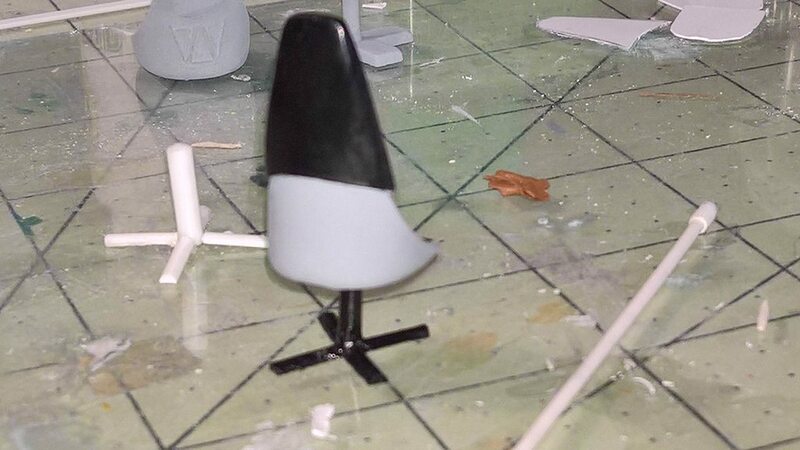 What did you use to modify the chairs? 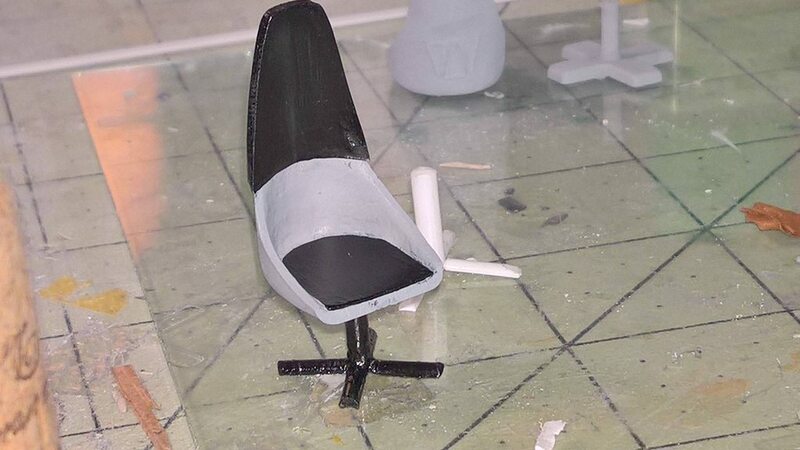 I used Apoxy Sculpt to modify the chairs. Even made the bottom cushion. https://i.imgur.com/8hZidjQh.jpg[/img]] [url=http:// https://i.imgur.com/1v7gMXPh.jpg[/img]] https://i.imgur.com/T7EPYQVh.jpg[/img]] Prototype bridge chair. not satisfied with the way the legs turned out, still have some work to do on them. 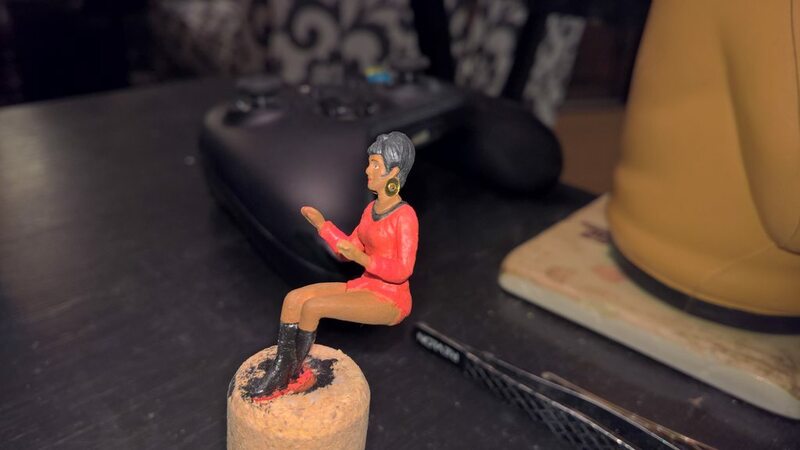 Thanks MsgtSAFRet I was sweeping up around my model and found some small sequins (I have 3 daughters) and decided they were a good fit for Uhura's ear rings. And here I was gonna complement you on the chairs! 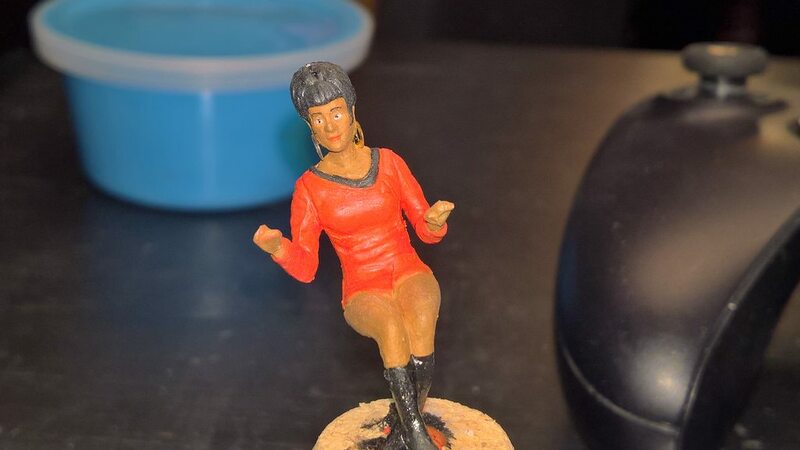 The sequins idea was an inspiration and completely fitting with Uhura's style! 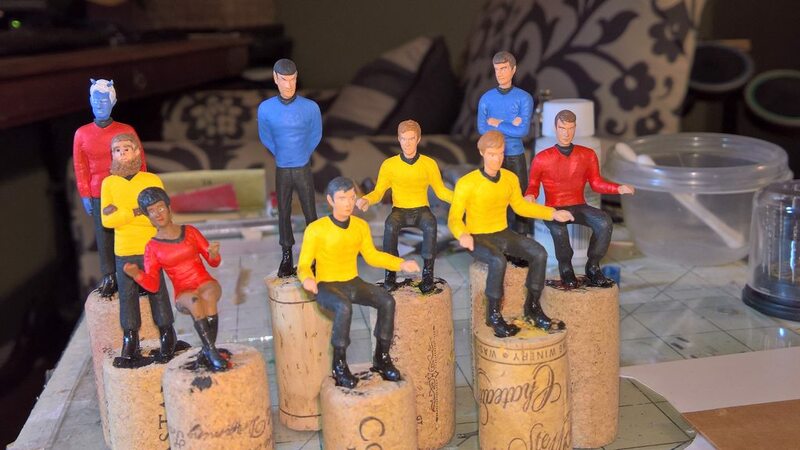 I'm still in awe of your figurines and your painting of them. Very nice work. I especially love how her legs are crossed. Did the figurine come that way or did you manipulate it somehow? 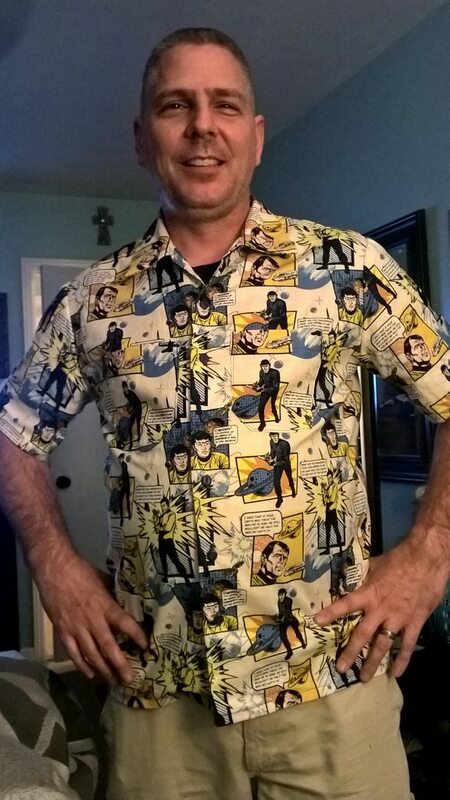 Nice shirt, man! I like it. Also the shuttle looks good. Whats the switch for? Shirt, shuttle, command bridge--all wonderful!